Self Hosted vs. Hosted Ecommerce: Which is right for you? Do you want to create an online store where you can display both physical and digital goods? Perhaps you already have a physical store and would like to showcase your products online so that you can reach a wider market. To do this, you need to generate an e-commerce store. There are two ways to go about setting up your online store. You can elect a self hosted platform or you can choose from any of the available hosted ecommerce options. Hosted e-commerce: What it means? Hosted e-commerce is a turnkey solution for startups and individuals with a limited budget. You don’t need to setup your own server or install e-commerce software like you would do with a self hosted platform. The company hosting the e-commerce platform will do all that for you, leaving you to concentrate on the more important aspects of your business operations. Even though you mightn’t have much involvement with the technical aspects of your website, you’ll still have to populate and upload your products. A hosted e-commerce platform provides a quick option that doesn’t allow for much customisation. You don’t have access to the code that makes your website function and so cannot carry out any modifications on it. A hosted e-commerce service is known as ‘Software as a service’ (SaaS), which means that you usually pay a fee for the complete package. This includes the hosting plan, your domain name and the e-commerce platform. Some of the more popular turnkey e-commerce platforms are Shopify, BigCommerce and PrestaShop. Creating an e-commerce website on a hosted platform is quite easy. It simply involves choosing any one of the available hosted e-commerce providers and signing up for a free trial or paid account. There is zero technical expertise needed, as the setup and installation is a ‘click and go’ facility. You just enter the name of your online store and click on ‘Install’. Even the process involved in choosing a template to define the look and layout of your website is very easy. You don’t have to know anything about e-commerce to use a hosted platform. The ‘out of the box’ features are quite easy to use and will allow you to upload and showcase your products and services easily. One major advantage of a hosted platform is that every aspect of the website’s security, maintenance and updates will be handled by the e-commerce company. You can be certain that your store will meet the best practices in security and availability, as the hosting company will take care of SSL certificates, server downtime and software updates. However, you’ll have no option but to pay whatever fees you’re charged if you want to keep your website online. Despite the benefit of being easy to use, a hosted e-commerce platform offers several restrictions. You will not be able to customise your website as much as you would like, as there are only a few extensions available to improve functionality. You’ll have limited control over your store and may not be able to control the features included. Not every hosted e-commerce platform is scalable. You may not be able to increase your server to accommodate for an increase in traffic. This means you may miss out on important sales during peak periods, as your customers will be forced to go elsewhere. 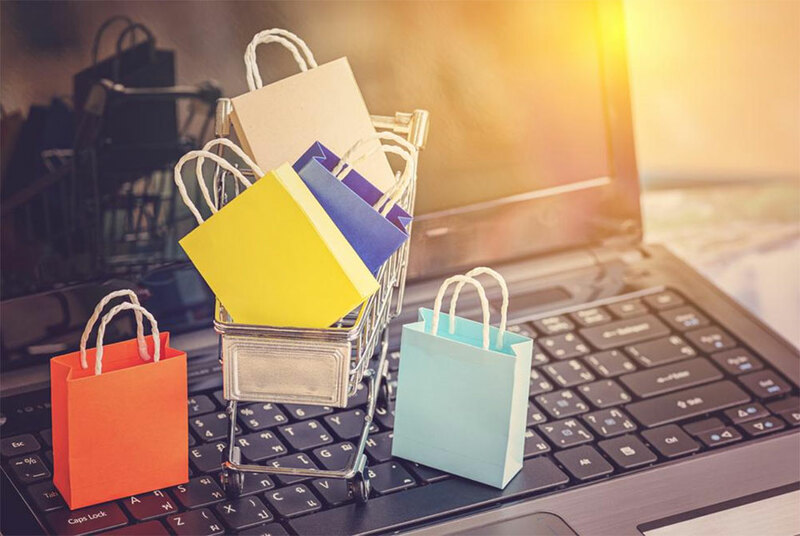 Although a hosted e-commerce platform allows for ease of use, you have to consider the possibility that your online store can grow to the point where a hosted platform will not be able to accommodate your business and customer’s needs. In such a situation, you’re either stuck with a platform that cannot support your growth, or you’ll have to migrate to a more robust service. Migrating not only takes time, but also costs money. This leads us to the other e-commerce hosting solution. Self Hosted e-commerce: What it means? Self hosted e-commerce refers to a platform that you host by yourself. It involves setting up a server where the files and folders that make up your ecommerce website will be hosted. Alternatively, you can purchase a hosting plan from a reliable provider, where you can also host your e-commerce website. In other words, you need a type of hosting platform for your website to work. Regardless of the method you choose, every aspect of the setup and installation will be handled by your company or your employees – hence the term ‘self hosted’. While self hosted platforms involve some level of technical expertise, they also give the owner a bit more flexibility. A self hosted e-commerce website begins with downloading and installing the software of your choice, from among the wide list of open source e-commerce platforms available. You can perform the installation and set-up yourself if you have some technical expertise. However, if you don’t, you can hire a developer to set things up for you. Once you’re up and running, you can customise your e-commerce store as much as you want. All aspects of the store are customisable, from the backend to the frontend. Depending on the e-commerce platform you installed, you’ll probably find thousands of plugins and integrations that would give your website improved functionality. This will be very beneficial if you want to offer your customers advanced user experience. Self hosted ecommerce gives you complete ownership over your online store. Furthermore, because the code is open source, you can freely modify it to suit your preferences and even share with friends. The beautiful thing about a self hosted ecommerce platform is that you can fully optimise the experience you give your customers – from the shopping itself, to the shopping cart and checkout process. You can even integrate multiple payment gateways to accommodate any customer. Self hosted e-commerce offers you the opportunity to fully test your website’s features before launch. You can devise a roadmap that allows you to work out all the kinks in your installation before making it live for public use. Once you’re satisfied with your website, you can start sharing the URL with friends and customers via email, social media and chat apps. You have more control over the visibility of your website, as you can implement various SEO techniques on a self hosted platform, which you may not be able to do on a hosted platform. Self hosted ecommerce platforms come with a bit more responsibility however, as you have to be on top of your game when it comes to security. You need to constantly be on the lookout for updates and patches, website and server issues, as well as installing an SSL certificate to provide better security for your customers. A self hosted platform makes it easy for you to scale up or down. With a self hosted platform, you can comfortably accommodate the traffic that comes with seasonal and holiday sales, such as Black Friday and Cyber Monday. On such days, millions of shoppers all over the world look for discount deals and promotions, which mean that your website will experience a tremendous increase in traffic. On these days, you can scale up your server resources to accommodate this spike in traffic. After which, you can scale back down during off-peak periods. There are many options to choose from if you decide to host your e-commerce website yourself, but some of the most popular are WooCommerce, Magento, OpenCart and osCommerce. There are many points to consider when deciding which e-commerce solution to choose. Should you sacrifice flexibility for convenience or vice versa? Your available resources, target customers and plans for growth should play a part in your decision making. Whatever you choose to use, it’s important you do as much as you can to make sure your website and products appeal to a wide reach of potential customers. One way to achieve this is to use choose from a list of brandable Domain Names that clearly identify what your website is about. And there are several domain extensions that can perfectly portray the e-commerce niche. With the right domain and SEO techniques, it will be easy to attract the desired customers. Most online stores are small and offer only the most basic customer experience, so a hosted e-commerce platform will do just fine. You’ll have access to the experience and professionalism of the people behind these robust turnkey solutions. However, for businesses with a bit more funding, aggressive growth projections and a visionary team, a self hosted e-commerce solution is the way to go. You’re free to choose the software that suits your requirements and will have full control of your platform. With a suitable server and the right team in place, you can grow your business to be one of the top e-commerce companies on the internet. Thanks for differentiating about self hosting, I am ecommerce specialist and always look and read about ecommerce industry and cloud hosting, I always recommend people to choose Cloudways ecommerce hosting.https://www.cloudways.com/en/managed-ecommerce-cloud-hosting.php, You should review them and list some more ecommerce cloud hositng companies. Appreciate your work.